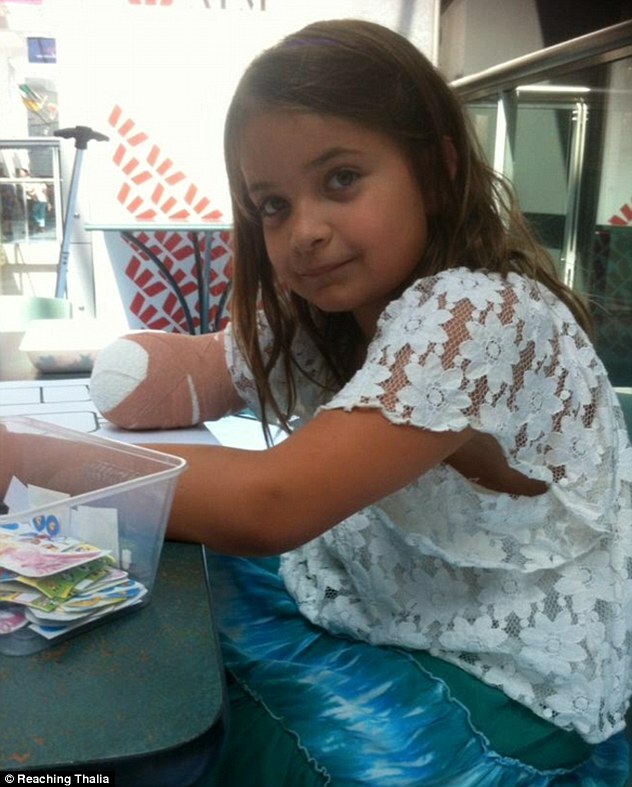 The friends and family of a brave eight-year-old girl have described the horrific moment her arm was 'chewed off' in a brutal dog attack while she was playing in her friend's backyard. Thalia Standley was grabbed by an ALASKAN MALAMUTE through a 20 centimetre gap under a fence and pinned to the ground as the dog viciously chewed on her arm, resulting in her losing a hand. Her seven-year-old friend, Layne Kidd, witnessed the mauling in which the dog initially grabbed Thalia's finger, tearing it off before continuing to chew, and rushed for help. Layne called her father Darren Kidd who was shocked to find Thalia sobbing as the dog destroyed her arm. 'I'm punching it in its mouth, just trying to make it let go, but it wasn't,' Mr Kidd told the Sydney Morning Herald. Since the attack on August 29 in the suburb of Valentine, in the New South Wales' Hunter region, Thalia has undergone eight surgeries. These attacks make me want to faint. This should not be happening.